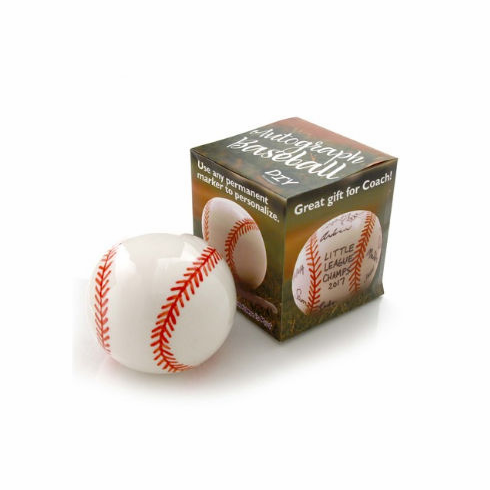 This ceramic baseball is a great gift from the team to a coach, player, or parent. Personalize it with a message or autographs with any permanent marker for a gift to treasure. Includes a decorative color gift box.